It is easy to look at Saturday's three-runner Clarence House procession and declare it disappointing more horses did not take on Altior, but it is also important to remember the impact such superstar horses can have. Debbie Matthews was at Ascot on Saturday, purely because of Altior. She battles with mental health, an issue amplified by the loss of her baby four years ago. She has been through hell, but Patricia Pugh's nine-year-old has not just won 17 races on the bounce – he has helped Matthews back from the brink. At one point she was unable to be left alone, but on Saturday she went to Ascot by herself. Matthews still struggles with social anxiety, so a busy racecourse filled with loud and cheering racegoers is about as close to a worst-case scenario as it gets. 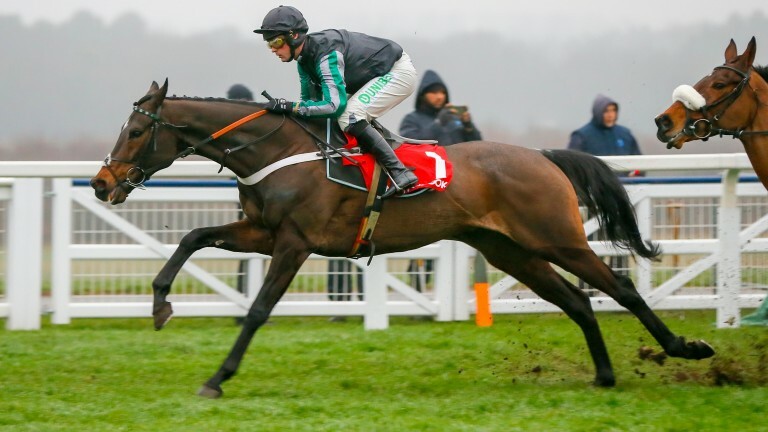 Yet from watching Altior from the safety of her sofa, she has formed a bond with the horse and on Saturday she decided to finally go and watch him in the flesh – she is so glad she did. She overcame so much just to be there, and that is the lure of racing's biggest superstars. When they run they can aid people in unimaginable ways and it does not matter to those they help how competitive a betting heat it was. "I had a lovely day," says Matthews, 41. 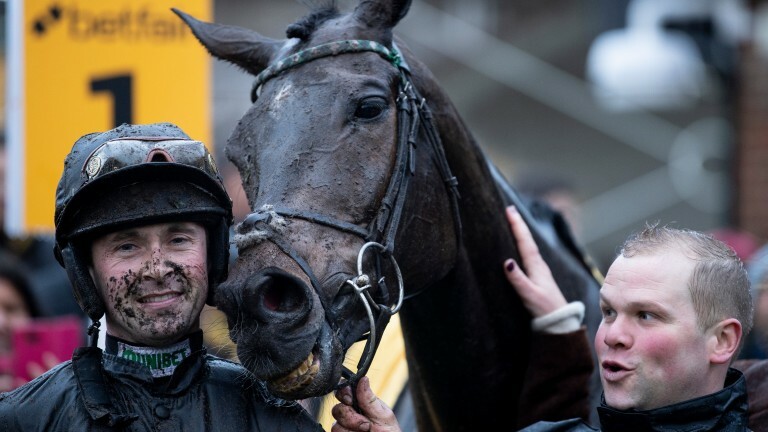 "I've got a bit of a love affair with Altior and that was the motivation I needed. I watched him at the Cheltenham Festival in 2017 on television as I was in the early stages of pregnancy and really ill. The way he jumped, he glided and didn't even touch the fences, I just thought he was magical and since then I've just wanted to see him in real life – and now I have." On seeing her equine crush in the flesh she adds: "He's beautiful, his markings – the one on his head, the little bit on the back of his tail, his ears. He's just something special, there aren't many like him. It made no difference there was only three runners, I got to see him and it was a massive personal achievement. "It's three hours from where I live, I drove myself, walked in on my own, so there's a sense of achievement. For all you know there could have been 100 other people there feeling the way I felt yesterday." Matthews route into the sport is an unusual one. Four years ago she was terrified of horses. One day an ex-racehorse known as Romeo got loose from a nearby livery yard and she found him stood at the bottom of her garden looking over her fence. She called the yard in a panic and they came to collect him but the next day he came back and again the day after. She very slowly got closer and closer and began talking to him. "Four years ago, on January 28, I lost a baby," she says. "It was a really difficult time and I guess he became therapy. Undoubtedly I think that horse saved me at the time as I was diagnosed with post traumatic stress disorder and all sorts of things. "I ended up walking out in the field with him and I started learning to ride, horses have completely turned my life around. When I was pregnant two years ago I was quite ill and it was the jumps season. I was at home a lot so I would watch the racing and that's how I got into it." Matthews writes a blog and has voluntarily helped Ffos Las and Chepstow tackle provisions for racegoers with mental health problems. Matthews works in accessible and dementia tourism and thinks racing could do more for fans with mental health problems. "What the racing industry and Racing Welfare are doing in terms of jockeys, trainers, staff with regards to mental health is fantastic, but they aren't doing very much for people like me who would love to go to the races – it's not always that accessible for us," she says. "There are some really simple things that could make a day at the races much more comfortable. There are lots of people like me and I'd love racing to be more accessible for single people, widowed people, people with hidden disabilities, people with dementia. "Things like having a quiet room with some water, tea or coffee for in case you have a bit of a moment and a meeting spot for people coming on their own who would like to meet others. When there are that many people you can feel out of place by yourself, it doesn't cost anything to do these things and it can make so much of a difference for people. "There are so many barriers and forms of mental illness, everyone's different, but for me I get a lot of social anxiety. I'm not good in crowds or with lots of people, it makes me panic. "I had only one bit of a panic at Ascot and luckily, because of the cold and damp weather, I was able to find a quiet spot. When I was there I didn't go in the stands as they're busy and noisy with groups of lads that have been drinking and that makes me anxious; people laugh at me but I sit by the parade ring, I find my spot and I stay there. "I just want to watch the horses, their beauty and colouring. I can watch them on the screen and I was the only person stood there during the races – It's escapism for me. I'm not thinking of being anxious at that point, it all goes away." Matthews says Fergal O'Brien has done so much to help her, including when giving her access to the box he had for the day at Chepstow earlier this season. It was the first time she ever went racing and trainer offered the box in case she ever felt anxious. 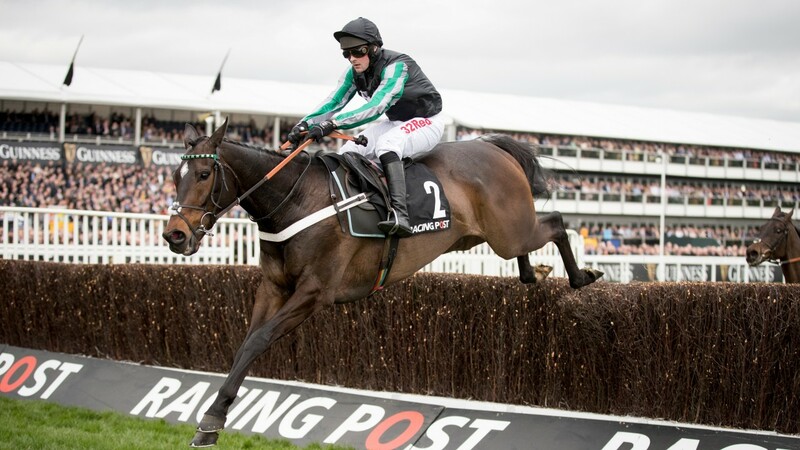 She is due to visit Seven Barrows on Tuesday – a Christmas present organised by her partner and needless to say she is excited about seeing Altior again. From being terrified of horses, Matthews now even has one of her own. "I've got my own horse now called Rosie, I rehomed her from World Horse Welfare," she says. "She's a companion horse and can never be ridden, but without her some days I probably wouldn't get out of bed. If something upsets me I can get in my car, drive to her and spend ten minutes or three hours with her. "Getting involved with horses has absolutely saved me. I've been on waiting lists for counselling and it can be six months. I've been so bad, I've not been allowed to be alone, and it's still a 16-week wait. "So I've found my own way and by this horse escaping and persistently turning up at the bottom of my garden, I've found a whole new thing in life. The power of the relationship you can have is quite something." Matthews is quite something. Her willingness to talk about the difficulties she faces is inspiring and she is a reminder the sport's biggest asset is the horses. They always have been, and always will be, what wins hearts and minds. The more they run the better. What they run against is less important.